You want to continue the adventure and safely dive deeper in the ocean? The Advanced Trimix Course is for you. You are already a technical certified diver, and you want to become an Advanced Trimix diver to go deeper and safer. 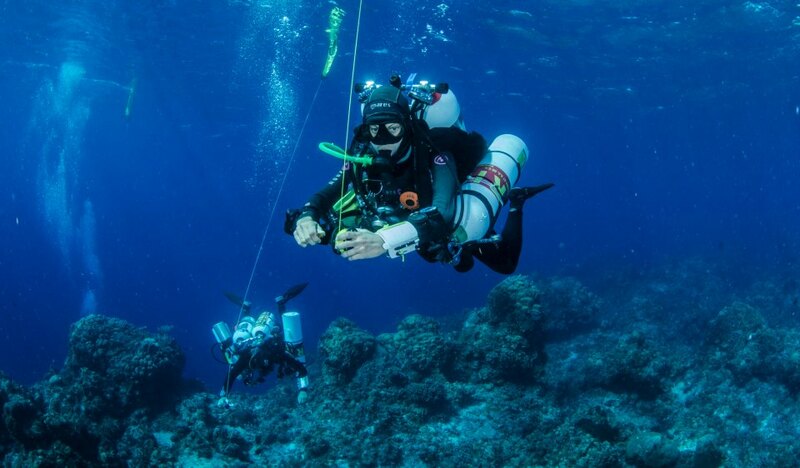 The Advanced Trimix Diver Course is the top level of training for open circuit divers wishing to dive to depths as deep as 100 metres/330 feet utilizing hypoxic levels of oxygen (below 17 percent). This course is perhaps one of the most informative and challenging of all of the open circuit courses. Upon completion, you will be among some of the most elite divers, capable of doing and seeing more while diving than any other divers out there.